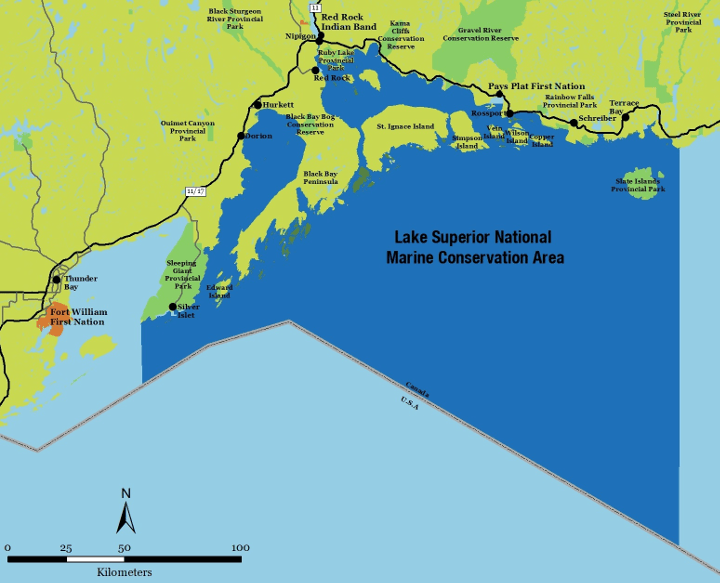 The Lake Superior National Marine Conservation Area (NMCA) extends across the North Shore of Lake Superior from Thunder Cape at the foot of the Sleeping Giant, all the way to Bottle Point just east of Terrace Bay, and south to the Canada-United States border. Once established, it will be part of a nation-wide system of protected areas managed by Parks Canada and will be approximately 10,880 square kilometers in size, occupying almost 13% of the largest freshwater lake in the world by surface area!Explore and discover the sheltered bays and endless rugged coastlines across the top of Lake Superior and take in the spectacular views from the shore or out on the water! Seek out the Parks Canada Lake Superior NMCA ‘Red Chairs’ and take #TimeToConnect with the magnificent waters of this Superior Lake! 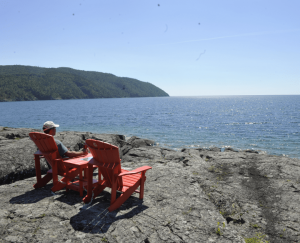 Several red chairs can be found in beautiful settings along the north shore of the lake including the Casque Isles trail just a short hike West from Schreiber Beach! Others can be found on the Nipigon River Recreation Trail, the Rossport Coastal Trail, and the Thunder Bay Marina. Find more red chairs on the expansive waters at Porphyry and Battle Island where you can sit back, listen to the waves crashing up on the rocks and take in views of the breathtaking lighthouses!